Creator Jay Saurik made the announcement in a Reddit thread on Thursday, confirming the demise of the jailbreaking community's main app store. At its peak, Cydia was able to support a small team devoted to its upkeep, but that time has long passed. Recently, Cydia has made next to nothing for Saurik, instead costing him thousands of dollars a month, not to mention his mental well-being. "The reality is that I wanted to just shut down the Cydia Store entirely before the end of the year, and was considering moving the timetable up," Saurik said on Reddit. Saurik was already planning on shutting down Cydia, but a recent security flaw was discovered, potentially putting logged in users at risk. This caused prominent jailbreak developers such as Nullpixel and Andy Wiik to issue statements urging users to remove their PayPal info from their accounts. "I think he made a good decision for his own health" Andy Wiik said to AppleInsider, adding he thinks the community will continue to live on. While it is no longer possible to make purchases through Cydia, the repo itself will still be around, allowing users to download previous purchases or make purchases through third-parties. Additional details will be forthcoming from Saurik with more details on what the future holds for Cydia as well as its rise and fall. Sad, but hardly surprising. The latest iOS to be jailbroken was 11.4 beta 3 - and that actually only happened recently. The likely hood of iOS 12 being jailbroken at this point is fairly slim, and it certainly isn't going to happen any time soon. 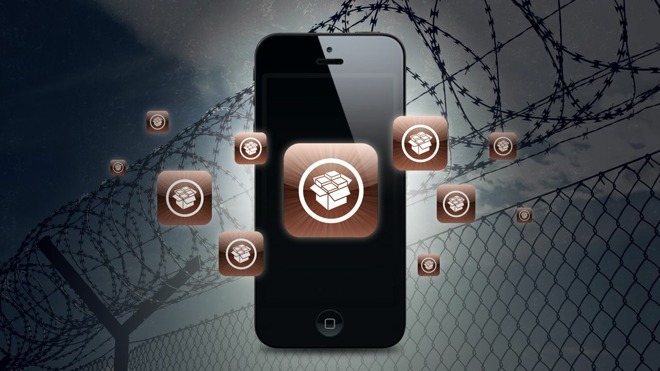 For better or worse, jailbreaking isn't nearly as necessary as it was in iOS' early days. Apple has added a number of features that were popularized by various jailbreak tweaks, and for the vast majority of users it simply isn't worth the hassle and security implications that come with jailbreaking. I haven’t jailbroken my iPhone since iPhoneOS 1 but as you mentioned, Apple pulled some features popularized from the jailbreak universe. Probably most notably the first major overhaul of the notification system which serves as the foundation of notifications to this day. I do worry that maybe without the jailbreak community it will negatively impact the future of iOS by cutting off a a well of ideas. I do like what Apple is introducing with „shortcuts“ => if they go further this way they open up for customisations, tweeks and smart combinations without compromising security. I was honestly unaware that jailbreaking was still a thing... damned app thieves! I just want access to the Nike and Hermès faces on my Apple Watch. You can do that if you have a Mac with Xcode installed. I haven’t felt the need since iPhoneOS 4.2.1. The risks and upkeep just weren’t worth it. Exactly. There were some legit reasons to jailbreak in the early days ... struggle to imagine what the point (besides theft) is now. You're misusing the word 'shutters'. Your article just like Engadet's who quoted you is completely inaccurate. All that was shutdown is the ability to purchase apps. Cydia still very much works and is online for downloading free jailbreak apps. I used to jailbreak my phone, primarily because features that really ought to have been in iOS were missing at the time. A key example of this would be the personal hotspot feature that we take for-granted as an obvious feature today, but was annoyingly missing from iOS until 2011. As iOS matured and holes in the feature set were slowly filled the need for jail breaking your phone have fallen away. And I would, if I knew how! I have a pet theory that Apple released Night Shift because they found some data suggesting that many or most jailbreaks were for F.lux. I just like my 5-column home screen and dock. I also like the obtrusive stock volume HUD being gone. That's the main reason I'll continue to jailbreak. If Apple would only open up the system to a little UI customization, I think a lot fewer people would bother with jailbreaking. Jailbreaking was a novelty that simply wore off. Sure it was fun fun to tinker. But that’s all it amounted to. And then you were we’re stuck with a vulnerable device that was a pain to update. surprised Cyrus was ever able to support a staff. Not surprised that they can’t make it as a business. If you want good security stick with Apple’s stock interface. If you to tinker with customization with a little less security there’s Android. Jailbreaking on an iPhone is very niche and an irresponsible thing to do. I know Jay (lives nearby) and about 2 years ago he told me that Cydia was doing great. Times change. I used to jailbreak long ago to broadcast a hotspot until carriers clamped down on it.